Includes demo version of "Impetus," which has never previously been released on vinyl! 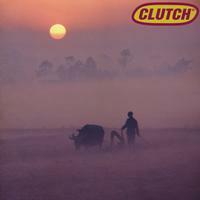 Having achieved commercial success and plenty of critical acclaim, it may come as a surprise to some people to know that American rock band Clutch had a release on Earache way back in their early days, before the release of their first album. Now with their 12th album coming up later this year, we've brought back these early recordings on vinyl for the first time in more than 25 years. Five tracks, including all three from the band's second ever single "Passive Restraints" which remains a key part of their set list to this day, as well as the track "Pile Driver," previously only available on the extremely rare 12" edition of Clutch's first ever single way back in 1991. • Extremely rare early recordings from one of the most revered and respected bands in the Stoner Rock genre. • Highly sought after collectable release — a must for any Clutch fan.